Several ways have been suggested to improve the poor status of taxonomy as well as to overcome the taxonomic impediment and thus to speed up species discovery and documentation, such as: DNA barcoding, creation of databases of taxa and identification tools, online quantum contributions, standardization of morphological features, training of a new generation of taxonomists. The paper comments on the desirability and effectiveness of these presumed remedies. It is argued that the analytical, hypothesis-testing nature of taxonomic research is not well understood or appreciated and forms a major constraint on the rate of taxonomic descriptions. The various components of the taxonomic method, such as exploration, data, analysis, and results, interact in a complex manner that resembles the erratic, bouncing behaviour of a pinball machine. Species hypotheses probably are the most tested hypotheses in the natural sciences. The introduction of cybertaxonomy instrumentation and infrastructure will not alleviate the time-consuming, intrinsically analytical and hypothesis-testing process underlying the description and/or identification of each taxon. Long-term survival of the discipline of taxonomy, thus guaranteeing the future cumulative taxonomic output of amateurs and professionals, is endangered by a diminishing workforce of adequately trained professional systematists. 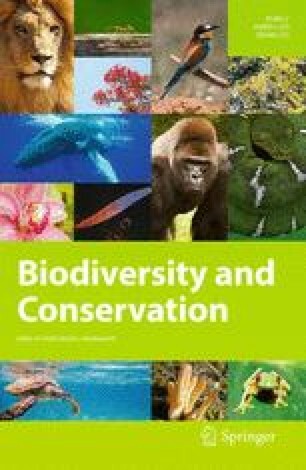 The only way to increase the pace of a well-documented and scientifically useful taxic inventory of the world’s biodiversity is to increase the number of professional taxonomists. I am grateful to Dr. R. Vos (Naturalis Biodiversity Center, Leiden) for commenting on a draft of the manuscript. Dr. M. Riutort (University of Barcelona) and Dr. J. A. J. Breeuwer (University of Amsterdam) are thanked for providing some references on barcoding and genetic hitchhiking, respectively. Dr. Jiangli Tan (College of Life Sciences, Northwest University, Xi’an, Shaanxi, China) and Prof. Dr. C. van Achterberg (Naturalis Biodiversity Center, Leiden) brought the Chinese wasps example to my attention. Prof. Dr. M. Schilthuizen (Naturalis Biodiversity Center, Leiden) kindly suggested some pertinent references and also read and commented on the penultimate version of the manuscript. Mr. J. van Arkel (University of Amsterdam) is thanked for the digital rendering of the figure.